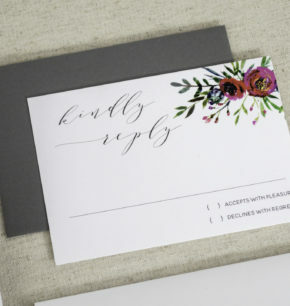 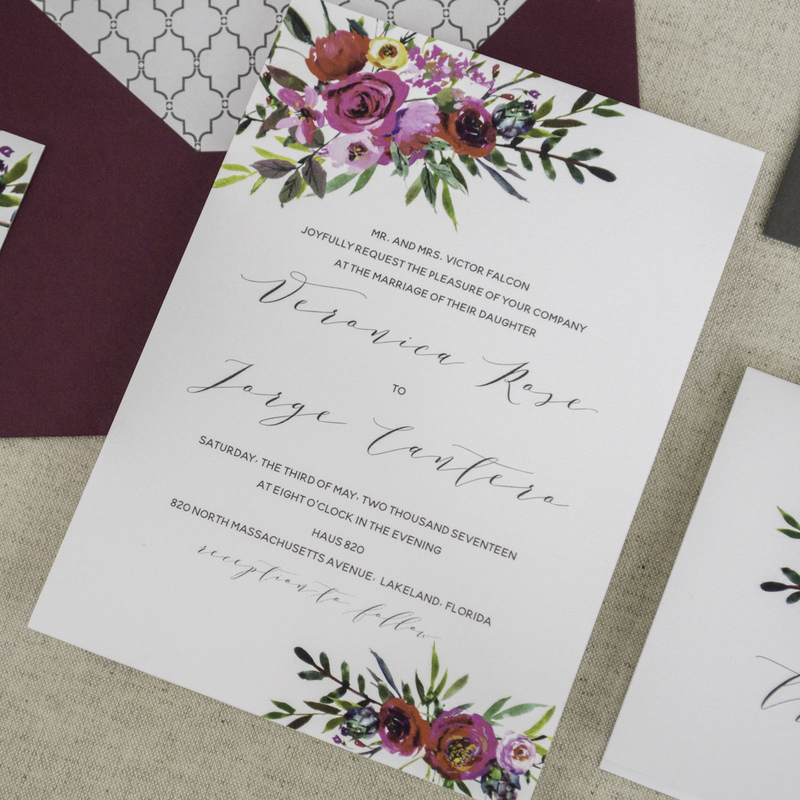 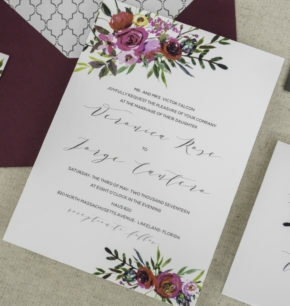 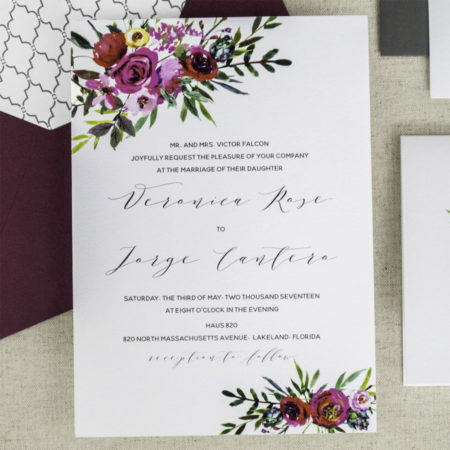 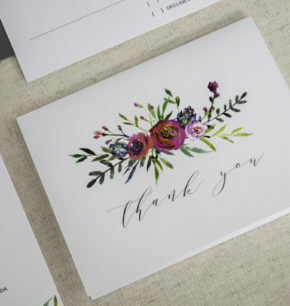 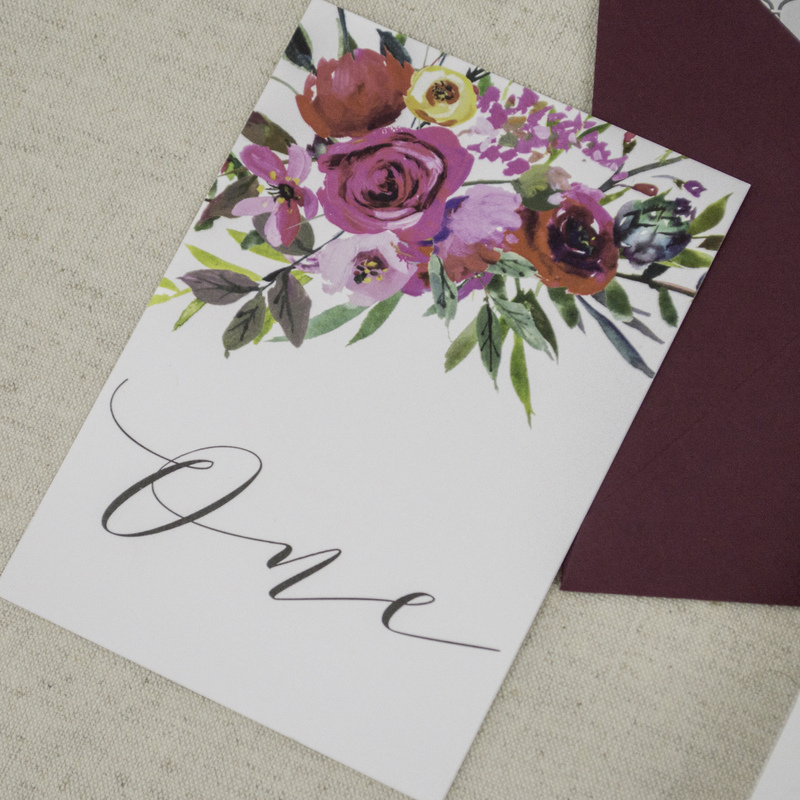 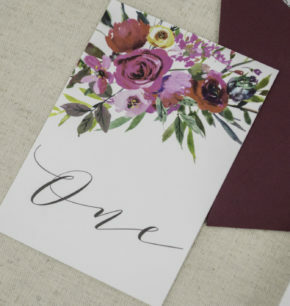 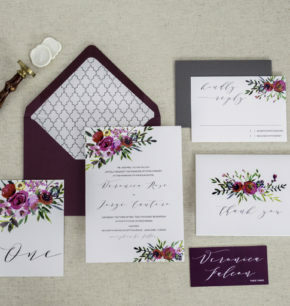 This invitation suite is perfect for the bride who loves watercolor floral details. 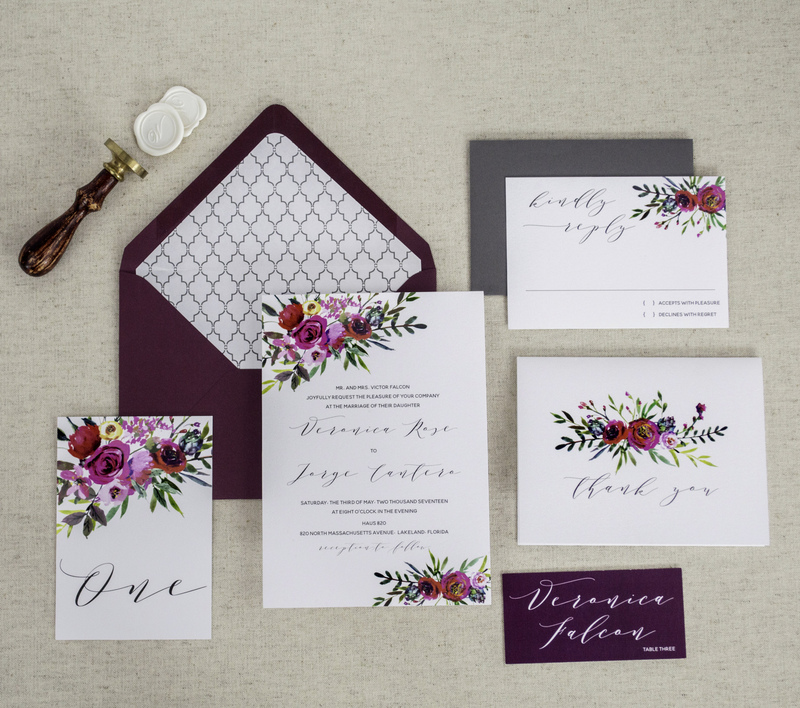 The deep pink, purple, and red colors are perfect for a beautiful fall or winter wedding. 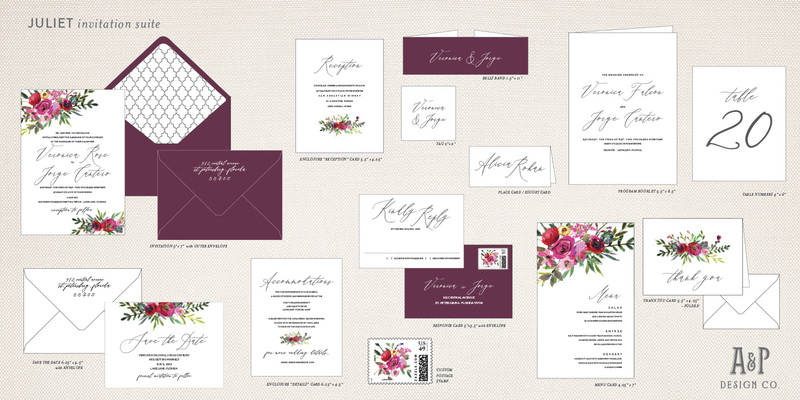 This design can also be personalized with lighter colors for a spring or summer wedding.